Exporter of a wide range of products which include my cute bumper color - yellow and my cute bumper color - purple. Owing to our extensive years of industry experience and profound market understanding, we are providing My Cute Bumper Color - Yellow. Our “my cute bumper books” are printed at vendor’s end using the top quality ink and optimum quality of paper along with modern machines. 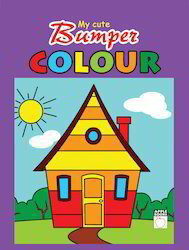 Offered my cute bumper books are checked by experts on numerous parameters so as to ensure its quality before dispatch. These “my cute bumper books” are accessible in various sizes, printing & customized options according to the requirements of clients. To meet diverse requirements of our valued clients, we are engaged in offering My Cute Bumper Color – Purple. These my cute bumper books are designed using superior quality of paper & printing ink in accordance with the quality standards. Our offered my cute bumper books are thoroughly checked by knowledgeable professionals in order to ensure their correct concept and correct content. We offer these my cute bumper books in numerous customized options at reasonable price. 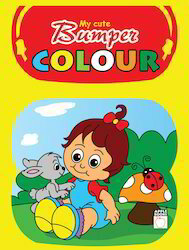 Looking for My Cute Bumper Colouring ?